Sudden changes to any horse’s diet should be avoided and this is never more the case than when you have a sick or injured horse on hand. If your horse was on a primarily forage diet (mainly pasture, hay or chaff) prior to the sickness or injury, you should attempt to maintain the horse on a largely forage diet. Likewise if your horse was being hard fed, you can continue to hard feed the horse, but don’t suddenly introduce hard feeds to a horse that wasn’t on them previously, and unless there is a good medical reason (for example in the case of laminitis) you should not just suddenly stop feeding hard feeds or quickly switch to a new feed. Keeping their feed consistent will keep them happier (they are creatures of habit and don’t like sudden changes) and also make sure you avoid problems like colic that can be associated with sudden changes in feed. It is quite likely that you are going to need to make some changes to a horse’s diet. If this is the case, do it as slowly as possible or practical. If your horse has to go to a veterinary hospital take along your horse’s feed he or she is used to having and leave clear directions on what and how much your horse is normally fed. If your horse was not hard fed before going to the clinic leave a note with the staff and if you have to, stick a note on your horses stable door requesting your horse is not fed any hard feed, as most horses in vet clinics will get some sort of hard feed unless otherwise directed. When a horse no longer has access to their normal feed, you should find something as similar as possible to replace it with. For example, if a horse’s normal grass pasture is burnt out by fire, you should initially put the horse on a diet of free choice grass hay. Don’t change them to something like lucerne/alfalfa hay or a hard feed-based diet straight away as it is just too different from what they were used to and may cause problems like diarrhoea and colic. When additional feeds or supplements need to be added you should do so as slowly as possible. If the horse can’t eat its normal diet due to an injured mouth or muzzle, you should find ‘easy to eat’ versions of feeds similar to the feeds your horse was used to. So for example, if your horse was on grass pasture or grass hay, use oaten or wheaten chaff as an easy-to-eat alternative. If your horse was eating lucerne hay, use lucerne chaff. And if your horse is finding its hard feed difficult to chew and swallow, soak it in warm water to make it soft before feeding. If your horse changes from moist pasture to hay suddenly keep a very close eye on water intake and use water sweetened with molasses or apple juice to encourage drinking if water intake is low. Not drinking enough when eating dry hay puts horses at real risk of impaction colic. A horse with an injury that is confined to box rest – in these situations you need to ensure the horse does not become overweight through inactivity and overfeeding. Being overweight will put more stress on an injury, particularly if it is some sort of leg or skeletal injury or surgery. 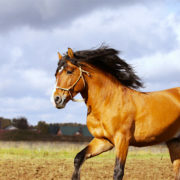 In addition, overfeeding will make the horse more agitated or hyperactive while confined and may lead to the horse injuring itself again while locked up.The best diet for these horses is free choice moderate to good quality grass hay, a low dose rate vitamin and mineral supplement, salt lick and water. Providing access to free choice hay will also help relieve boredom. It is a good idea to feed the hay through a slow-feeding hay net or put it in two or three normal hay nets to slow intake and prolong the amount of time the horse is eating in a 24 hour period. A horse that eats for a large part of its day will be much happier and settled than a horse that finishes its feed within a couple of hours.For more help with this, click here to read our blog post ‘How to feed a horse confined to a stable’. A horse with a sickness or severe injury (including burns) – in these situations the most important considerations are to get the horse to eat (as going off feed can be a major problem) and stop them from losing weight. A sick or severely injured horse that is losing weight will be not be able to properly start the healing process because its body is in a state of breakdown and not rebuild. 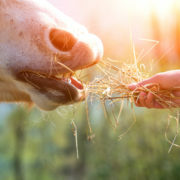 If a horse doesn’t eat, it is also likely that its immune system will be compromised, again slowing the healing process and exposing your horse to the risk of secondary disease and infection.First and foremost with these horses you must get them to eat (see below for tips on getting a horse to eat).Once they are eating, they need to be fed a diet with adequate calories and protein to allow them to maintain their bodyweight or gain bodyweight where required. Feeds such as lucerne hay, grass hay and good quality sweetfeeds or pellets/cubes may be needed for the horse to maintain weight. These horses need to be condition scored regularly and their rations adjusted according to whether they are losing, maintaining or gaining weight. Make sure you are managing pain as pain is one of the first things that will put them off their feed. Work with your vet to develop a good pain management strategy. Don’t put medications in your horse’s feed – most medications are not particularly tasty so instead of putting them in the feed wait until after your horse has eaten and give it to them via a paste made with apple sauce. Beware of ulcers. 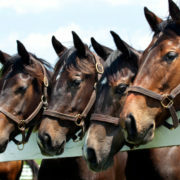 Horses that are stressed and off their feed are at real risk and this will further reduce their appetite. Be careful adding salt. If you make a feed too salty your horse won’t eat it, so add it sparingly if at all and try feeds without any salt to see if it helps with their appetite. 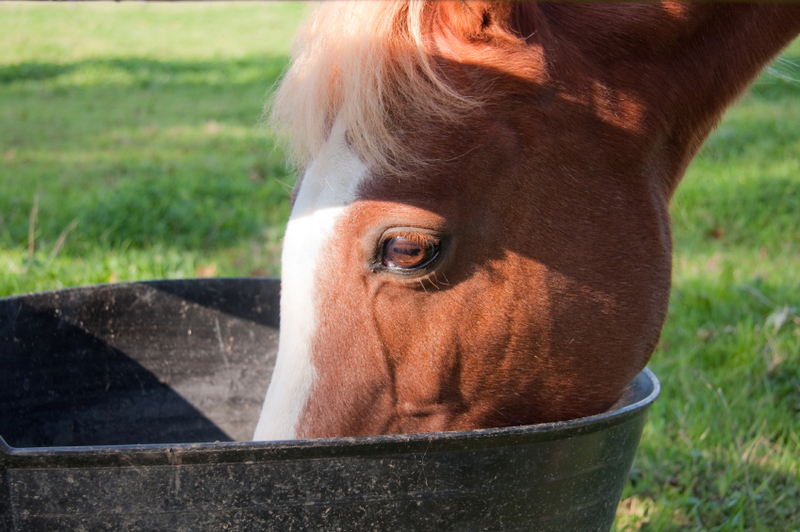 Make sure the feed bin is in a comfortable position for the horse to reach. For example if it has a painful foreleg injury, elevate the feed bin slightly to reduce the amount of pressure a horse has to put on its legs to eat. Allow your horse to graze when possible – horses that won’t eat will generally still graze, and periods of time grazing may be enough to stimulate their appetite so they will eat what you are trying to feed them. Feed in frequent small meals and remove uneaten feed every 2 hours to keep it fresh and palatable. If none of these strategies work and the horse still will not eat, contact your veterinarian that is caring for the horse and discuss the options available for tube feeding if required. 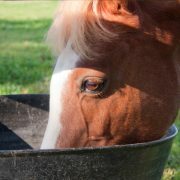 Never is feeding a balanced diet more important than when feeding a horse recovering from sickness or injury. Protein and certain vitamins and minerals are critically important for promoting the healing process as is ensuring the horse is receiving the correct amount of calories. If your horse is only eating a small amount of feed each day, the diet should be balanced so that its nutrient needs are largely met within that small meal size. This may involve feeding high protein supplements, concentrated vitamin mineral supplements and using high energy oils and grains to help meet calorie requirements. FeedXL allows you to balance diets accurately for horses recovering from illness or injury. Simply choose ‘Horse Recovering from Illness or Injury’ or ‘Growing Horse Recovering from Illness or Injury’ when entering your horse’s details. Thus a severely burnt horse’s requirements for these nutrients as well as fluid and calories can be increased up to 100% above maintenance needs. High in protein (14 – 16% of the total diet) – this makes alfalfa/lucerne a useful forage for these horses. Fortified with vitamins and minerals including higher than normal levels of vitamin E and the B-group vitamins as well as vitamin C.
If you are not sure where to start with feeding a sick or injured horse seek professional help. We can certainly help on the FeedXL Members Facebook Group. Feeding a horse the wrong thing when sick or failing to recognise that your horse has special requirements can slow the healing process, suppress your horse’s immune system and expose your horse to secondary disease and infections. It is important to get it right. This newsletter by Dr. Nerida Richards was originally posted to the FeedXL user forums for FeedXL subscribers in November, 2014. If you would like to be among the first to receive our newsletters then please consider becoming a FeedXL member or subscribing to our email list. Bighead is a disease resulting from long term calcium deficiency in the diet. Bighead has severe effects on your horse, making movement painful and lameness a constant issue. Luckily though, it is a condition that is easily avoided by carefully balancing your horse’s diet. Bighead, correctly known as nutritional secondary hyperparathyroidism is a severe calcium deficiency resulting from a horse not absorbing enough calcium from its diet. During these periods of calcium shortage, horses will mobilise calcium (and phosphorus) from their bones to keep blood calcium levels ‘normal’. When this state of calcium deficiency occurs for prolonged periods of time horses mobilise so much calcium and phosphorus from their bones that their bones become fibrous and weak. 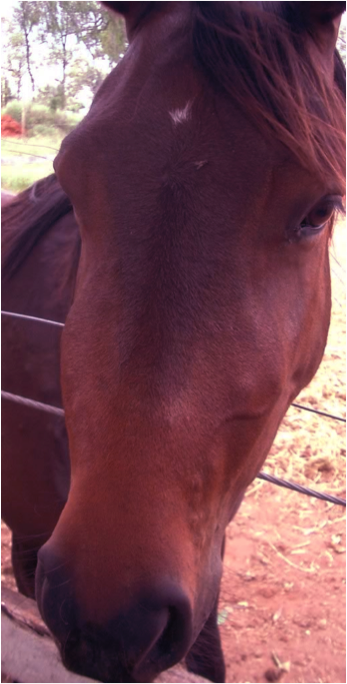 As its name suggests, Bighead results in the horse’s facial bones becoming fibrous and swelling to give the horse a ‘bighead’ appearance as shown in this photo. This facial swelling appears most commonly in young horses whose facial bones haven’t fully formed and hardened, though it is possible for it to occur in mature horses as well. Because nutritional secondary hyperparathyroidism affects a horse’s entire skeleton it will also result in shifting lameness and generally sore bones and joints. In severe cases horses will be reluctant to move or may move with a ‘hopping rabbit’ gait. Affected horses also tend to lose weight even though they have access to ample feed. Because of the swelling that occurs in the bones, the upper airways can become obstructed resulting in noisy breathing during exercise and it is also possible for teeth to fall out. An incorrect dietary calcium to phosphorus ratio with more phosphorus in the diet than calcium. Phosphorus is able to block the absorption of calcium if there is more phosphorus than calcium in the diet eventually leading to a severe calcium deficiency. Diets that contain large amounts of high phosphorus ingredients like wheat bran and pollard (also called wheat middlings, millmix, millrun or broll), rice bran, copra and cereal grains have high levels of phosphorus and have the potential to cause an incorrect calcium to phosphorus ratio. Grazing high oxalate pasture. Sub‐tropical or C4‐Type pastures like kikuyu, buffel grass, setaria, green panic, pangola grass, guinea grass, purple pigeon grass, para grass and signal grass contain a compound known as oxalate. The oxalate in the grass binds most of the calcium available in the grass making it unavailable for absorption when the horse eats it. So even though these grasses may contain plenty of calcium, horses cannot access it, so over time they will develop a severe calcium deficiency. The more oxalate the pasture contains, the more rapidly a horse will develop bighead. Setaria, and specifically Kuzungula Setaria is the most dangerous high oxalate grass for horses, with severe bighead appearing in horses grazed on this grass species within one to 3 months. Fortunately, bighead is a disease that is easily avoided given the correct nutrition. The strategy to avoid bighead depends on its cause. If the disease is occurring because of an incorrect calcium to phosphorus ratio, adding additional calcium to the diet to balance the calcium to phosphorus ratio will make sure you avoid this problem. Calcium can be added by feeding calcium supplements like limestone or a branded calcium supplement or calcium intake can be increased by adding high calcium forages like alfalfa/lucerne and clover to the diet. Dolomite is best avoided as a calcium supplement as its calcium bioavailability (the amount of calcium the horse can actually absorb) is low. The calcium to phosphorus ratio must be kept above 1 part calcium to 1 part phosphorus for all horses. For young horses, the ideal calcium to phosphorus ratio range is 1:1 to 3:1. For mature horses the ideal range is 1:1 to 6:1. If high oxalate grasses pose a threat to your horse, you must feed enough calcium in the diet to keep the calcium to oxalate ratio above 0.5 parts calcium to 1 part oxalate. The biggest difference between bighead caused by high oxalate pastures and bighead caused by an incorrect calcium to phosphorus ratio is that when adding calcium to the diet of horses on high oxalate pastures, phosphorus must also be added. To correct the calcium to oxalate ratio of a horse’s diet, you should use a 2 parts dicalcium phosphate to 1 part limestone (calcium carbonate) mixture, adding enough of this to the diet to keep the calcium to oxalate ratio at or above 0.5 parts calcium to 1 part oxalate. Of course you must also make sure the calcium to phosphorus ratio remains balanced. Doing all the maths to work out correct calcium to phosphorus ratios and calcium to oxalate ratios can be tricky, but luckily FeedXL makes it very easy for you. The last section at the bottom of the Nutrient Table in the results section of the FeedXL report shows a number of ratios. The first two are the calcium to phosphorus ratio (shown for all diets) and the calcium to oxalate ratio which is shown only when a horse is grazing a high oxalate pasture or eating high oxalate hay. FeedXL will warn you when your horse’s diet has an incorrect calcium to phosphorus ratio or if your horse’s diet has a calcium to oxalate ratio that is too low so that your horse is kept out of bighead harm’s way. This newsletter by Dr. Nerida Richards was originally posted to the FeedXL user forums for FeedXL subscribers in March, 2012. If you would like to be among the first to receive our newsletters then please consider becoming a FeedXL member or subscribing to our email list. Tying up is a painful condition for a horse and a frustrating one for you as an owner. Symptoms can range from severe muscle pain and distress, apparent colic, excessive sweating, elevated heart and respiration rates, a stiff gait, muscle tremors and a reluctance to move to more mild and elusive symptoms that just involve the horse feeling stiff, lazy or slightly lame. Whether your horse suffers with severe tying up or a mild form, it will limit your horse’s performance and sense of well being, so the more you do to reduce the frequency and severity of bouts of tying up, the better your horse’s performance and health will be. Tying up, also called exertional rhabdomyolysis is a group of diseases that cause muscle damage and pain during and immediately following exercise. There are two main forms of tying up; polysaccharide storage myopathy (PSSM) which most commonly affects quarter horses, draft breeds and warmbloods; and recurrent exertional rhabdomyolysis (RER) which most commonly affects thoroughbreds as well as standardbreds and possibly arabians. 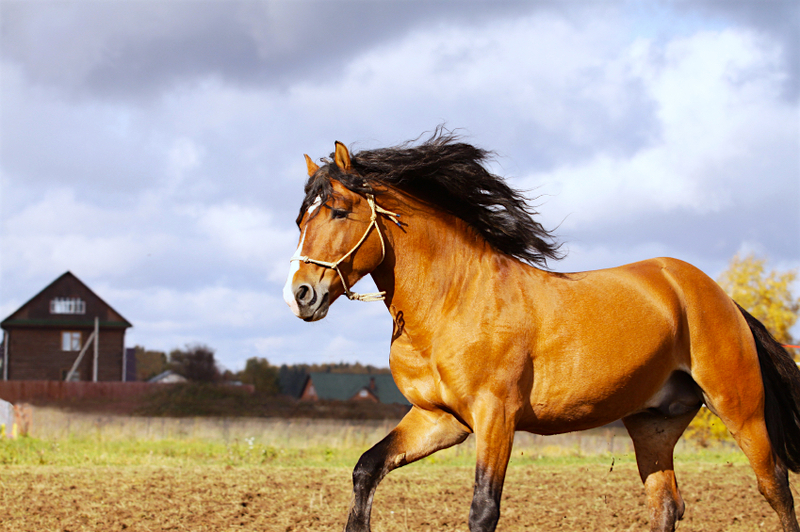 Horses affected by PSSM store abnormally high levels of glycogen in their muscles. These horses also accumulate abnormal amylase‐resistant polysaccharide in their fast twitch muscle fibres. Horses with PSSM appear to have no problem utilising the glycogen they have stored in their muscles when exercising. Why the storage of abnormally high levels of muscle glycogen causes muscle damage is still unknown. Recently a mutation in the gene for the skeletal muscle glycogen synthase enzyme (GYS1) has been identified as the primary cause of PSSM in quarter horses, draft horses and their crosses. Horses affected by RER do not accumulate high concentrations of muscle glycogen, however they tend to exhibit abnormal and excessive muscle contractions, likely due to a heritable defect in calcium regulation within their cells. RER is often triggered by exercise and excitement and it is well recognised that young fillies and horses with a nervous temperament are most affected. Tip 1—Minimise starch and sugar intake. Diets high in starch and sugars (for example those that contain large amounts of grain based feeds) are well known to make tying up occur more frequently and severely. For horses with the PSSM form of tying up, we recommend that all feeds containing grains be removed from the diet completely. By ticking that your horse is affect by PSSM when you are filling in your horse’s details in FeedXL, all feeds that contain grain or grain by‐products are red listed to make it easy to avoid them. For horses affected by the RER form of tying up, you should try to keep the amount of energy supplied by grain based feeds to 20% or less of the total digestible energy intake. To monitor this in FeedXL, simply hover your mouse over the Digestible Energy bar in the graph for a full breakdown of where the energy is coming from in the diet (see the screen shot below). If your grain based feeds are supplying more than 20% of the digestible energy and your horse continues to be affected by tying up, reduce the amount of these feeds in the diet. Tip 2—Use high energy fibres and oils to supply energy. Current recommendations suggest that horses with PSSM should receive 13% or more of their daily digestible energy intake as oil, while horses with RER on high energy diets (for example thoroughbreds in race training) should be receiving 20 to 25% of their daily digestible energy intake as oil or high fat feeds like rice bran. With these very high levels of oil, care must be taken to introduce it to the diet gradually to allow time for the horse and its gut to adapt to that level of oil feeding. You should also keep in mind the omega 3 and omega 6 levels in the diet. If you use oils like corn or sunflower oil as the main oil in the diet, consider adding some flax/linseed (see Newsletter #22: Feeding Flaxseed) or a specialised omega 3 oil to balance omega 3 and omega 6 intakes. Below are some examples of diets for horses with PSSM and RER that follow the first two tips given here. This diet is for a 500 kg (1100 lb) Quarter horse in moderate work. Note that there is no grain or grain by products used in the diet below and that vegetable oil is providing 13 percent of the horse’s daily digestible energy requirement. This diet is for a 500 kg (1100 lb) thoroughbred in hard work. Note that cereal grains are providing less than 20 percent of this horse’s daily digestible energy requirement and that vegetable oils and high fat feeds like rice bran are supplying 24% of the horse’s daily digestible energy requirement. Tip 3—Use FeedXL to make sure the horse’s diet is balanced, and importantly that its requirements for the electrolyte minerals sodium, chloride, potassium and magnesium and requirements for the antioxidants selenium and vitamin E are met. Avoiding very high levels of protein is also a good idea. Tip 4—Avoid oats. Oats seem to trigger the RER form of tying up in horses and particularly fillies more frequently than other grains (and we don’t know why). So for horses with RER that are still receiving some grain in their diet, use cooked corn, barley, rice or other grains you might have access to in place of oats. Tip 5—Reduce or remove the grains and high energy fibre components from the diet on days off. Horses fed their full ration on rest days seem more likely to be affected by tying up once they resume work. You should increase the horse’s allocation of hay or amount of turn‐out time to compensate for the feed you have taken out of their diet on rest days. If your horse is prone to gaining too much weight, you should also reduce the amount of oil fed on days off. A well balanced diet containing the right amount of energy from fibre, starch and oil with all requirements for vitamins and minerals being met is only part of the puzzle for effectively managing both PSSM and RER forms of tying up. Horses that suffer with tying up need to undergo a regular exercise program. Care must be taken to ensure horses are allowed to gradually build up fitness and horses should never be exerted beyond their level of fitness. 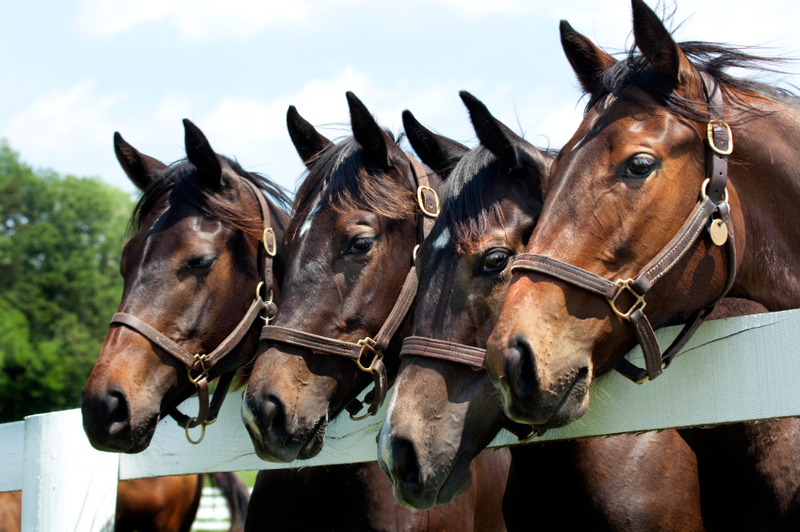 Prolonged periods of stall confinement should be avoided, with horses that tie‐up being better off housed in larger pastures or yards so they can move around freely. Rest days need to be managed carefully. While these horses certainly do need some time off to be horses, they should never be fully box rested, but instead should be walked or turned out to pasture for voluntary exercise on these days. Nervous horses that are prone to RER should be managed to keep their stress levels down. Always housing them with a buddy, allowing them plenty of turn‐out time, feeding them first and maintaining as regular a daily routine as possible are a few things that might help. Following good dietary management by minimising or completely removing starch intake, providing 13 to 25% of daily energy intakes as oil or high fat feeds, meeting all essential vitamin and mineral requirements including those for electrolytes and antioxidants and providing a regular exercise routine that remains within the horse’s level of fitness will all help to keep your tying up prone horses’ muscles … untied. This newsletter by Dr. Nerida Richards was originally posted to the FeedXL user forums for FeedXL subscribers in August, 2011. If you would like to be among the first to receive our newsletters then please consider becoming a FeedXL member or subscribing to our email list. Laminitis can be time consuming, painful for your horse and heartbreaking for you. A proper diet can make it a whole lot easier. Low sugar is vital (we could get all very technical here and call sugars non‐structural carbohydrates, water soluble carbohydrates, starches, ether soluble carbohydrates or non‐fiber carbohydrates, but let’s just keep it simple and say ‘sugar’). Sugar results in high blood insulin after eating and is believed to be the major cause of laminitis and certainly most cases of grass or pasture laminitis. Good quality protein is important for aiding in hoof tissue repair and meeting requirements for vitamins and minerals is also a must. The good news is, feeding a laminitic horse doesn’t have to be difficult. The following are some guidelines for making it a lot easier, by firstly getting the basics right, then fine‐tuning for weight changes, and finally some tips on dealing with boredom and associated problems like hoof repair. Graze in the very early hours of the morning until about 11 am as this is when pasture sugar levels are lowest. If you are unable to control the hours of the day your horse is allowed to graze, use a grazing muzzle to reduce your horse’s intake of pasture. Feed hays that are typically low in sugars. These include mature or stemmy tropical grass hays and mature or stemmy lucerne hay (including lucerne hay that has been weather damaged). If you can’t access these kinds of hays, soak the hay you do have available in warm water for 30 minutes, before tipping all of the water off, rinsing and feeding. Avoid any hays that are known to have high levels of sugar, including ryegrass hay, oaten, wheaten or barley hay. Lucerne haylage or silage that has been produced specifically for horses is also a low sugar forage option (check there is no molasses added). So read all labels and lists of ingredients carefully before buying a feed. And it is buyer beware. Many feeds that contain grain by‐products like millrun, bran or pollard advertise themselves as being ‘grain‐free’. This is grossly misleading and these feeds present as much danger to your laminitic horse as a feed that contains grain. Other feeds claim to be ‘Low GI’, but again, if they contain any of the ingredients listed above, they should be avoided for laminitic horses. And finally, watch out for molasses added to feeds as this can make a feed high in sugar. 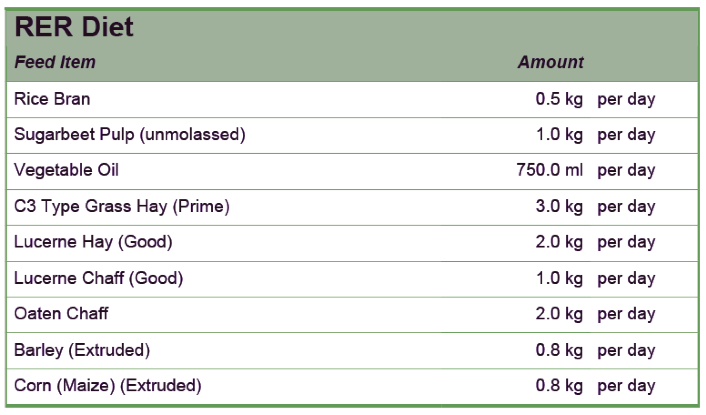 Again, FeedXL will help you select suitable feeds that do not contain these ingredients by highlighting allunsuitable feeds in the databasered for laminitic horses. Very few feeds are truly suitable for a laminitic horse. Make sure the diet is balanced! It is very important to make sure the diet you are feeding your laminitic horse is balanced. Meeting the laminitic horse’s requirements for protein, amino acids, vitamins and minerals will help them recover from any previous bouts of laminitis, help them to resist other disease and infection and will keep them in good overall health. Assess the body condition (fatness) of your horse and have a clear goal in mind as to whether you want the horse to gain, hold or lose weight. Look for the help document in FeedXL on body condition scoring, or the newsletter for descriptions and photos of each body condition score. Provide your horse with access to as much low sugar pasture or hay as it wants to eat. Feed a low sugar complete feed at the recommended rates for your horse’s bodyweight and current activity (only use the complete feeds that are not highlighted red in FeedXL. Complete feeds will provide your horse with the calories, protein, vitamins and minerals it needs. Mix your own low sugar balanced feed by using high calorie unfortified feeds like soybean hulls or sugarbeet pulp, add your own vitamins and minerals via a low dose rate vitamin and mineral supplement and add protein from soybean or lupins. 3. If additional weight gain is needed add some oil to the diet. Start with ¼ of a cup per day and gradually increase the amount if required. Allow the horse access to up to 2.5% of its bodyweight of low sugar forage (12.5 kg for a 500 kg horse) per day. Balance the diet with a low dose rate vitamin and mineral supplement and additional protein from soybean or lupins if your pasture or hay quality is poor. Monitor your horse closely. If it is not holding its bodyweight on this diet, increase the amount of low sugar forage you are feeding and reassess your horse. If it still isn’t holding its bodyweight you can add a high calorie, low sugar unfortified feed like soybean hulls or sugarbeet pulp to the existing diet. Switch to using a low sugar complete feed at the recommended rate for your horse. Feed up to 2% of your horse’s body weight (10 kg/day for a 500 kg horse) per day as low quality, low sugar forage, including mature or stemmy tropical grass hays and/or weather damaged lucerne hay. Balance the diet with a low dose rate vitamin and mineral supplement and good quality protein from full fat soybean. Constantly assess your horse’s body weight and adjust the diet according to the rate of weight loss. If your horse is not losing weight, reduce the amount of low sugar forage being fed to 1.5% of the horse’s current bodyweight (7.5 kg/day for a 500 kg horse). If this reduction doesn’t achieve the weight loss you want, reduce the amount of forage being fed to 1.5% of the horse’s ideal bodyweight. To prevent boredom in these horses, make their forage hard to eat so it is more time consuming for them. One way you can do this is by placing their hay in 2 or 3 hay nets, which makes the hay hard to pull out. If you do feed hay out of hay nets you may need to dampen it down slightly to reduce dust. You should also feed their daily allocation of hay in 2 or 3 meals per day. If the horse is able to exercise, a gentle exercise routine each day will also help them to lose weight and reduce their risk of further bouts of laminitis. Feeding a low sugar diet will help to prevent further damage to your horse’s hooves. Providing high quality protein that contains good levels of the essential amino acids lysine and methionine (soybean and canola meal are good examples of high quality protein) as well as making sure your horse is getting its essential vitamins and minerals will give your horse the building blocks it needs to repair damaged hoof tissue. If you find your horse’s hooves are taking a long time to respond to a well balanced, low sugar diet, you may find the addition of biotin to the diet is helpful. For more information on the use of biotin to promote hoof growth, see our FeedXL Newsletter #2. By using FeedXL to balance your laminitic horse’s diet you will ensure you avoid unsuitable feeds and that you meet your horse’s requirements for good health and hoof repair. This newsletter by Dr. Nerida Richards was originally posted to the FeedXL user forums for FeedXL subscribers in March, 2010. If you would like to be among the first to receive our newsletters then please consider becoming a FeedXL member or subscribing to our email list.